Everyone needs to take a vacation every once in a while, and that time of year rolled around for me this month. I’m the type of person who wants a nature holiday – give me 2 weeks camping outside of cell phone and internet coverage area to recharge my batteries. I’m also an adventurer, and after years of living overseas, I am eager to explore more of my own country. 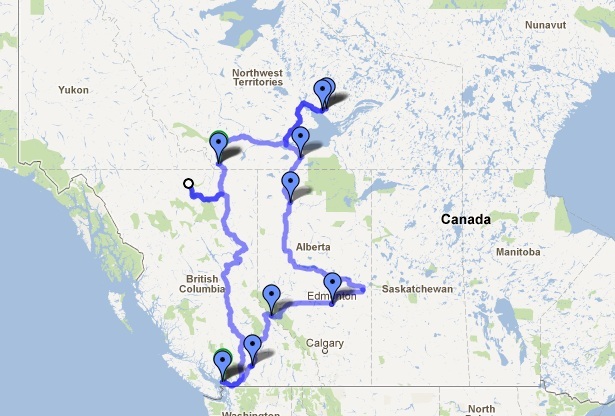 This year, M and I took a long-awaited road trip way up north, to the Northwest Territories. And what an amazing trip. The farther north we went, the longer the days got, until it never quite got dark (challenging to sleep in a tent when the birds outside keep acting like it’s the middle of the day). We stayed in and around Yellowknife for nearly a week, exploring the city and the surrounding nature. I loved the pace of Yellowknife – the speed limit is 45 km/hr, and people actually drive that. No one seems to be in a rush, everyone is super friendly, and everything is close by. We went on lots of small hikes and nature walks, planned with the help of a blog called Life in the Knife. 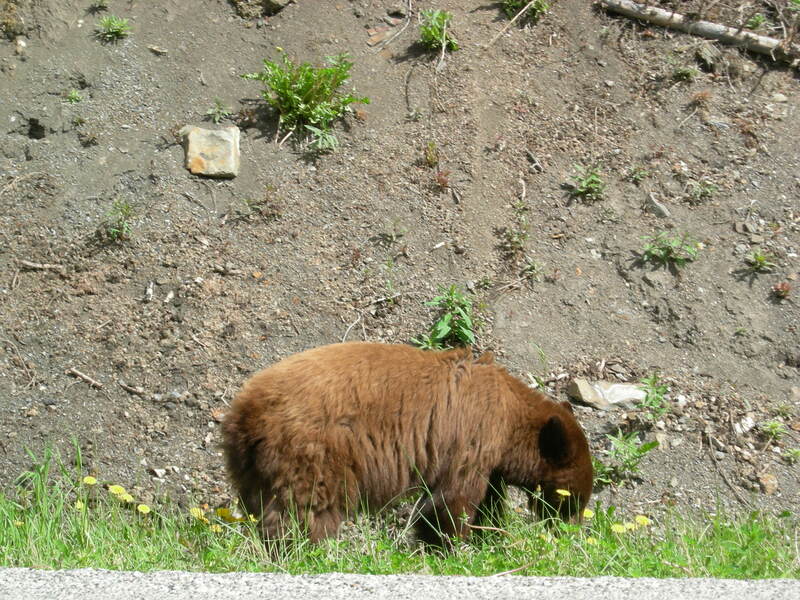 The only brown bear, still a member of the black bear family. leaf, have eluded me. Well, no more. Although the first few days yielded nothing but deer – even tho M guaranteed me that there would be herds of elk through Jasper, they all fled the rain – this trip brought 28 black bears (luckily all seen safely from the car), including 2 cubs and a brown bear, 4 moose (including 2 calves), herds of wood bison, stone sheep (like mountain goats) and deer, a few coyotes, 2 foxes, a muskrat, beaver and porcupine. I firmly believe in reducing our carbon footprint, especially on vacations, and I am aware that my 6000+ km of driving was not the most earth friendly of vacations. But I also believe that as an environmentalist, it is important for me to go out there, and connect with the animals, plants and people living in different places, because we are all in this together, and we have to remember what we are fighting for. I’ve given a brief outline of places we went below, and my recommendations, for anyone planning a similar trip. Stop 1: Monck Provincial Park, outside Merritt BC – quick stop, but nice enough, on a lake. Deer visited the site in the early morning hours. Stop 2: Mount Robson Provincial Park, BC – great, quick hiking trail to see the stunning Mount Robson and surrounding mountains. Worth a stop, even if not camping. Stop 3: High Level, Alberta – really not much throughout northern Alberta, so just kept driving til we couldn’t drive any more. Stop 4: Louise Falls, NWT – nice enough campground, with a nicely kept trail that goes between the 2 sets of falls (Alexandra and Louise) and down farther along the river. Stop 5: Fred Henne Territorial Park, Yellowknife, NWT – great campsite for being pretty much in the city. A bit overly crowded and noisy on weekends, with teenagers walking through the campground. We stayed at one of the tenting sites removed from the parking area, which was great, good views, and decent privacy. Stop 6: Prelude Lake Territorial Park – crowded with ATV riders and motor boaters on the weekend, with RVs running generators, which is rather annoying. But completely cleared out on Sunday. 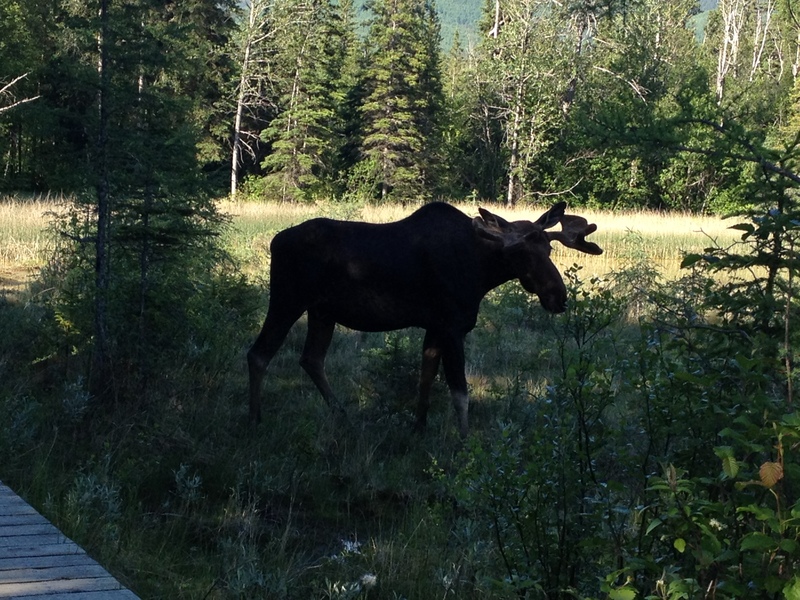 Beautiful views, has walking trails at the site and is close to the stunning Cameron Falls. Again, stayed at the walk-in tenting sites, which is very much worth it. Stop 7: Blackstone Park, near Nahanni park – mosquito filled (even more than everywhere else), super friendly host (maybe because we were the only visitors?). Accessed through a very muddy (after rains) gravel road on the Liard trail. Good place to stop on this route. Stop 8: Liard River Provincial Park and hotsprings – great place for hotsprings, which do not look like a swimming pool (in case you’ve seen the ones at Radium -boring!). 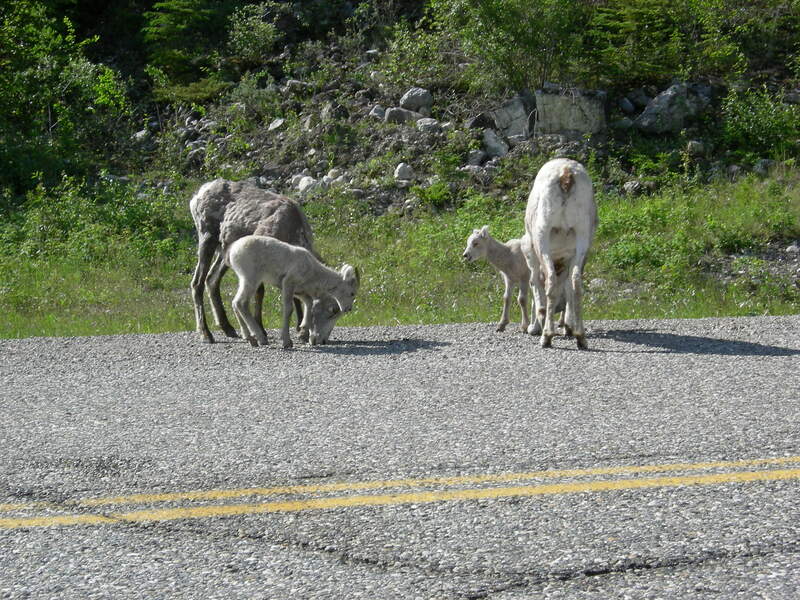 Along the Alaska highway, which is stunning and full of wildlife, it was worth the side trip. Stop 9: Andy Bailey park, outside Fort Nelson – not a bad place, quiet, but not much in the way of maintenance. But good for secluded campground on a quiet lake. Stop 10: 10 Mile Lake, outside Quesnel – nice enough place, but quite big and seems like it probably gets really crowded once school’s out. At least it had showers, though – we’d gone without since Prelude! Stop 11: Home. The plan had been to stop around 100 Mile House, but it was stormy, and it’s not much fun tenting in the rain, so we just kept going down the Fraser Canyon to get back to Vancouver, through the flooding, stormy and occasionally power-outaged Fraser Valley.